If you are overly excited about the arrival of the fifth-generation network (5G) anytime soon, you may have to curb your enthusiasm, at least according to some Chinese industry insiders. After years of hype about the ultrafast speed of 5G networks and technological advancements, some industry leaders in China are now calling for patience for the final rollout of the technology believed to change everything from mobile communications, to driving, to urban planning. They argue that we could be far away from fully realizing its full potential due to lagging infrastructure and technologies, limited real-world applications and high costs. The calls marked the beginning of a reckoning period in China over its true capabilities in 5G, which are widely believed to be leading the global realm and have evidently stoked national pride among some Chinese citizens and fear among foreign competitors and officials alike. The reckoning started after Ren Zhengfei, founder of Huawei Technologies, suggested in an interview he gave last week that many may have exaggerated the technology and his company's role. "The real-world application of 5G has actually been exaggerated and Huawei's achievement has also been exaggerated," Ren said in a rare interview with Chinese media on Thursday. He further noted that there is still a long way to go to realize the full potential of 5G. "We all shouldn't be so anxious." 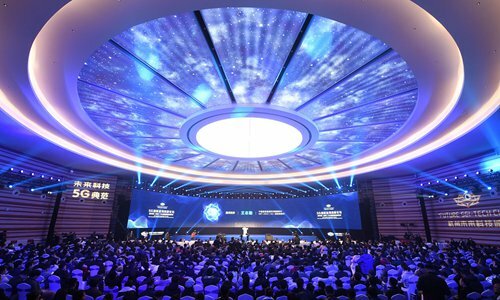 Such an assessment from the head of one of the leading companies in 5G technology marked a change of tone in China about 5G technologies and point to some realistic challenges, industry insiders said on Sunday. To start with, despite the advances and tests, much of the 5G technologies are still in the experimental stage, including coding, multiple access technique and wireless transmitting, and have not been tested fully in real-world situations. "So far, all we can say is that the 5G network has been successful in controlled tests. But in the real world, there will always be problems. That's just how it works for every new technology," said Xiang Ligang, chief executive of telecom industry news site cctime.com. Even after the technologies are ready, for the 5G network to go operational, it also requires the support of a wide range of components, including compatible devices such as chips and smartphones. Companies such as US-based Qualcomm and Huawei have boasted 5G-capable chips and other smartphone makers have also launched devices ready for 5G networks. "But to put all these together would require some time… we are still far from the commercialization of 5G," said Fu Liang, an independent Beijing-based analyst who closely follows 5G development. Then for consumers, there is the cost issue. While 5G networks and devices are expected to be available as soon as in the next few months, the cost could be high, and there is no need for an immediate upgrade. For example, a 5G-capable device from China Mobile expected later this year could cost as much as 8,000 yuan ($1,181), according to media reports. "With such a high cost, many would be hesitant to spend the extra money to upgrade to 5G, if there are not many extra benefits," Wang Yanhui, head of the Shanghai-based Mobile China Alliance, told the Global Times on Sunday. Despite all the hype about 5G's potential, no application has been released so far that requires 5G, he noted. But that is not to say that Chinese companies should stay clear of making further attempts in developing 5G and giving in to pressure from the West, analysts said. China has been, in many areas, leading the race, including investment. Since 2015, China has outspent the US by $24 billion in 5G infrastructure and has built 320,000 more cell sites than the US, according to a report from global consultancy Deloitte in August. Huawei is reported to be the only supplier of 5G equipment, making the company a prime target for Western countries' drive to contain China's rise in technology. That prompted Chen Zhaoxiong, vice minister of industry and information technology, to declare on Saturday that China's 5G network is ready for commercialization. He said that China has completed the third-stage tests, and that devices are ready for the "pre-commercialization level," according to a statement from the Ministry of Industry and Information Technology. Analysts warned that while an accurate and objective assessment of China's 5G capabilities is necessary, in the face of intensifying pressure from foreign governments, they should never backpedal. "We should be aware of our limitations and challenges but let's also not be overly humble in our achievements. China and Chinese companies are in the top-tier of 5G development, if not the leader," Xiang said. "Make no mistake: This is a race for dominance in a key technology of the future. If we cut back because of the pressure, then we will lose."